If you're looking for a taste of authentic Pittsburgh, look no further than Pittsburgh's Strip District. The one-half square mile shopping district bordering Downtown is a foodie heaven bursting with local flavor. "The Strip," as locals call it, is filled with ethnic grocers, boutique shops, produce merchants, and internationally acclaimed restaurants. Whether you're a local or just in for a visit, be sure to check out these can't-miss places in the Strip! A trip to Pittsburgh isn't complete without a Primanti Brothers signature sandwich! Topped with coleslaw and French fries, foodies can get a taste of Pittsburgh in a sandwich. Located on 18th Street, this is the original Primati Bros. since 1933 and is open 24 hours a day, 7 days a week. Serving traditional Italian pastries, the Enrico Biscotti Company is one of Pittsburgh's finest hidden gems. Enrico's is made up of two parts: the cafe, serving up breakfast and lunch, and the bakery, which offers delicious biscotti, macaroons, and more. Bread making classes are also available. Since 1980, Pamela's Diner has been serving up some of the tastiest breakfast in the 'Burgh. The Diner's world-famous Crepe Style Pancakes are a must try and a favorite of President Obama when he is in town. For all you first-timers, Pamela's is cash only. 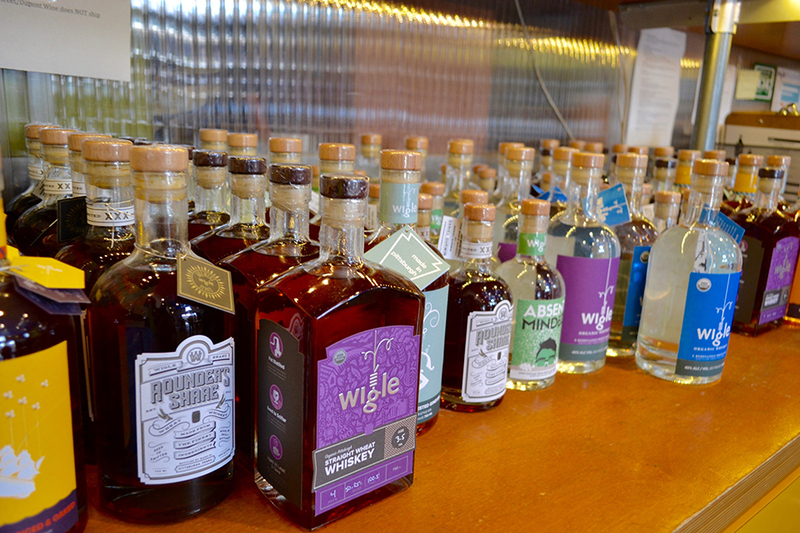 As Pittsburgh's first post-prohibition distillery, Wigle Whiskey is one of the most awarded distillery's in the USA. Named after an 18th century whiskey rebel, Wigle is filled with local history. Distillery and Barrelhouse tours are available and end with tasting some of Wigle's award-winning spirits. Looking for a place for beer? The Beerhive has you covered! With over one-hundred different bottled beers, bomber bottles, growlers and 12 rotating taps, The Beerhive is sure to please. The family-run bar also offers some mouth-watering food ranging from burgers and wings to tacos. Located at the corner of Penn Ave. and 21st Street, La Prima Espresso is the most authentic Italian style espresso bar in the city. Stop by the bar to pick up a drink or pastry and you'll feel like you're in Italy. And if one cup of coffee isn't enough, you can buy a fresh roasted bag of La Prima to go. For those with a sweet tooth, Mon Aimee Chocolat is a must! The store is filled with imported chocolate bars and candies from around the world. 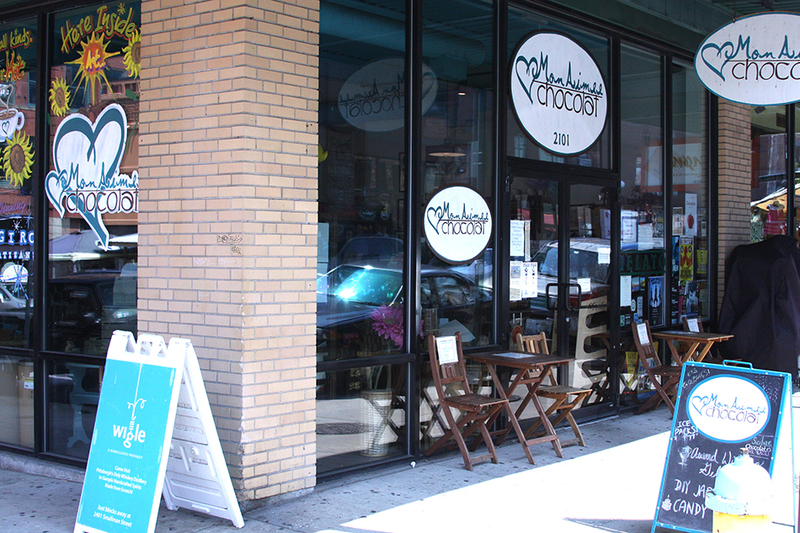 The chocolatier also sells local sweets including LUX Artisan Chocolates, Salted Caramels, and Capogiro Gelato Artisans, award-winning Pennsylvania gelato. This cute and hip store has everything you didn't know you wanted! Decorated with the handpicked pieces from all over the world and filled with the trendiest styles, Hot Haute Hot looks to "feed the soul" of its customers. If you're a true Pittsburgh sports fan, or just want a Terrible Towel souvenir, you've got to stop at Yinzers! Claimed to be Pittsburgh's #1 Sports Store, Yinzers has anything and everything Pittsburgh sports. Kylie is a sports enthusiast, news junkie and world traveler. You can follow her on twitter @Cracken_me_up or find her at the local pub or coffee shop.